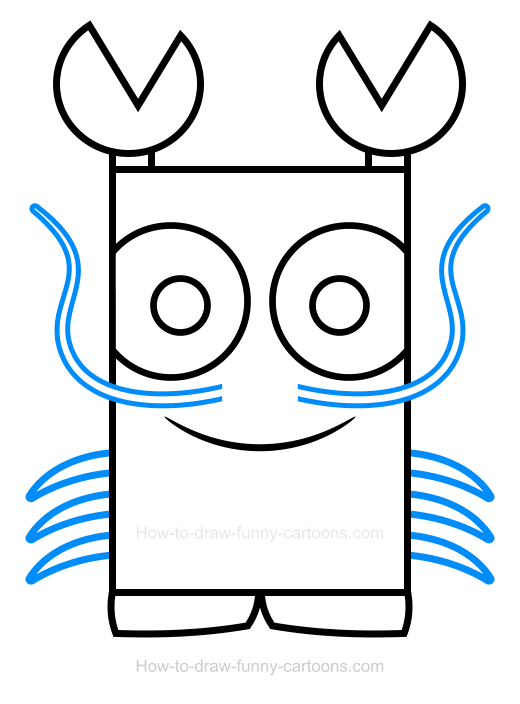 In this simple lesson, you will learn how to draw a lobster clipart that is unique, cute and easy to illustrate. From there, you can either try to duplicate this cartoon animal exactly as shown below or sketch a different version using more complex shapes and lines. Lobsters are visually quite interesting to draw. Gifted with two large claws and a body protected with a hard exoskeleton. They can have up to 10 walking legs and these animals are quite appreciated for food. Lobsters have blue blood and can live up to 70 years in the wild! First, let's draw the body of the lobster using a large rectangle. Then, you can draw large circular shapes to form the claws. Cut these circles using triangles to complete this part of the character. The body and the claws are joined by small rectangles. 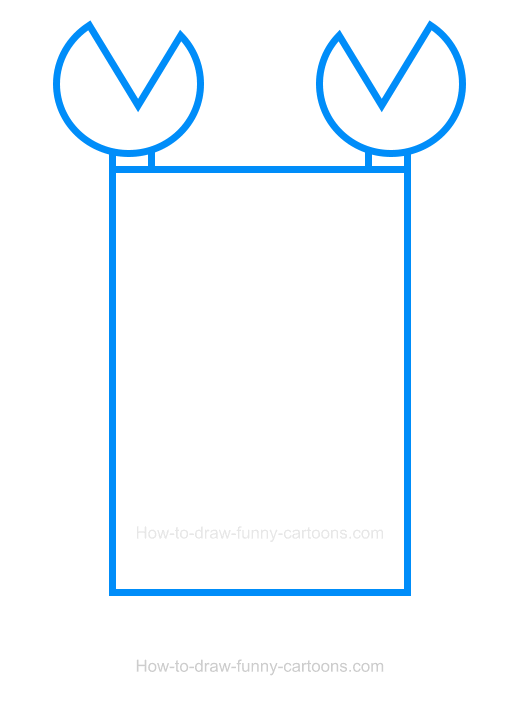 For all current shapes (and future ones), you can use a thick outline as shown below. Next, it's time to work on the face of the cartoon lobster. Draw the eyes using large circles. These new elements are partially hidden on both sides of the body. Small circular shapes can be added inside the eyes of the character to create the pupils. 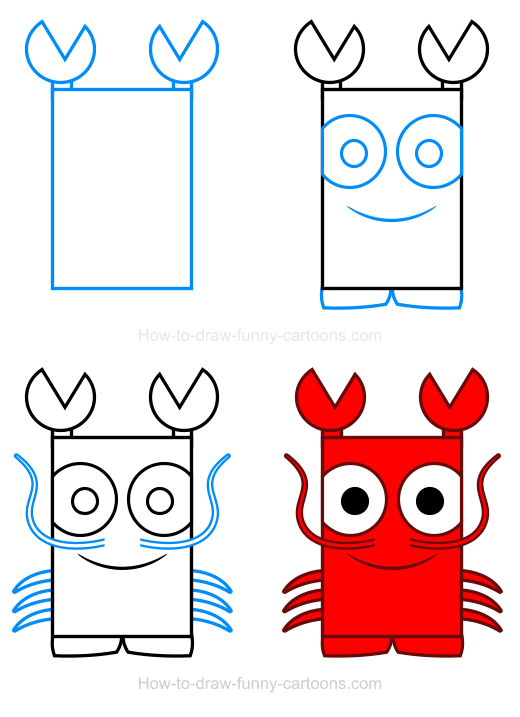 Finally, a long curved line is used to represent the mouth of the lobster and a tail is sketch on the bottom of the character using rectangles made from curved lines. Below the eyes, you can create two long antennas made from curved lines. Then, small legs also made from curved lines can be added on both sides of the body. As you can see below, these legs have round ends. It's now time to add colors! Most lobsters are either brownish or green. 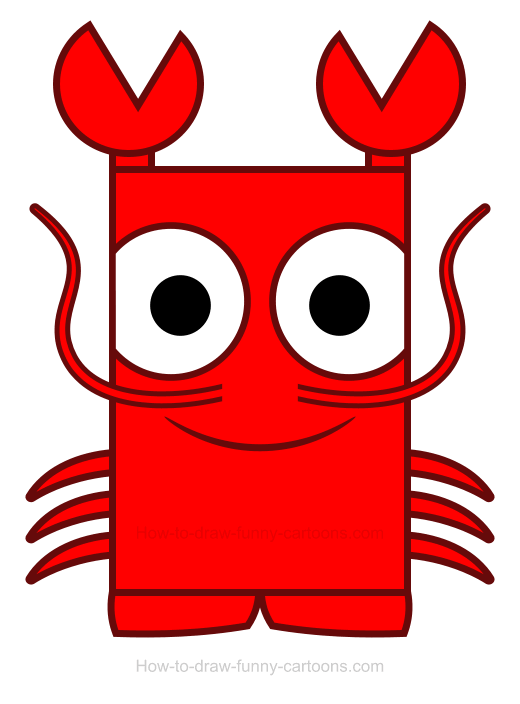 However, cartoon lobsters are often depicted red, the same color a lobster will have once this one is cooked. 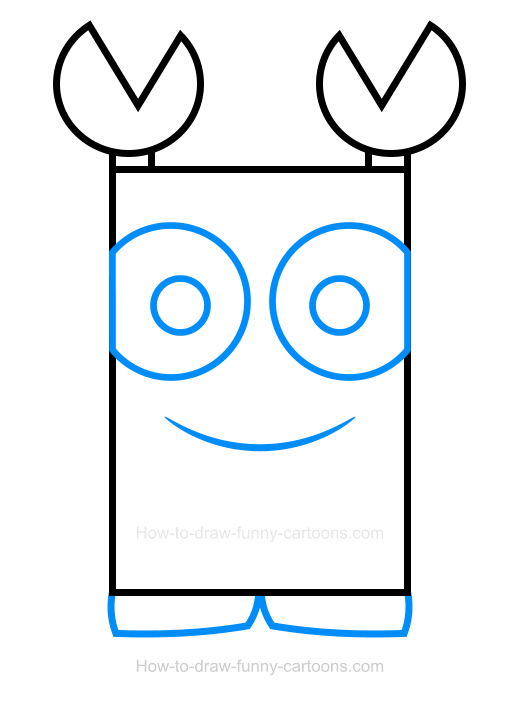 Let's color this character in red and make sure the eyes are white and the pupils are black.